December 2012 – Business: Engaged! JoAnneh Nagler, the author of The Debt-Free Spending Plan joins us on this episode of Business: Engaged! to talk about how to take control of our debt. Credit is often the lifeblood for businesses so most carry some debt. Some get loans and most use credit cards. But one thing that the economic struggles of the last two years have taught us is that too much debt paired with an economic downturn can mean the end for a business. The same thing can happen in our personal lives too. On this episode of Business: Engaged!, we talk with JoAnneh Nagler the author of The Debt-Free Spending Plan to share her insights about how to take charge of debt and move toward living a debt-free life. 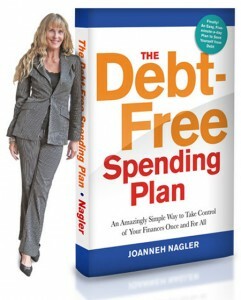 To learn more about JoAnneh Nagler and her book, visit her website at www.debtfreespendingplan.com. In my product and service spotlight, I feature Heather Pile of Inspired Grace Events. 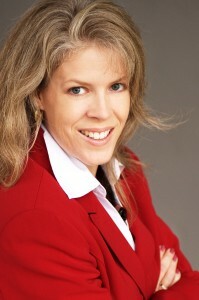 She’ll talk about how companies benefit by using event planners for their company events. Today’s event planner isn’t just for weddings. I had a database failure with the Business: Engaged! website and lost six months of my show descriptions, which I now have to rebuild. You might be saying, “Just restore it from your backup.” That is a great idea and I thought I had a backup — until I realized I didn’t. I’ll tell you how that happened and what I learned so you can protect your valuable data. Episode airs Thursday, December 27 at 9:00 a.m. CST. Click here to listen to this episode. Be sure to check out past episodes. You can follow the show on Twitter at @businessengaged too. Be sure to LIKE its Facebook page so you’ll find out when the next show airs. Click here to go there. We love it when you tell others about the show so take a minute and post this link for your Facebook friends or Twitter followers. Carrie Perrien Smith, author of Currency: Striking Networking Gold in a Relationship Economy talks about improving your life on this episode of Business: Engaged. She gives her formula for breaking old habits and setting goals that will set you up for a year of success. Smart business owners periodically assess their progress toward their goals. Most of us set some goals or at least make some New Year’s resolutions to break a habit or improve our life. On this episode of Business: Engaged!, I provide a formula for analyzing the discomfort in our life and creating an action plan that results in permanent change. I also give tips for setting goals that ensure success. In my product and service spotlight, I feature Jerry Bolander of American National Insurance. He’ll talk about what umbrella policies are and who needs them. The U. S. Small Business Administration periodically re-evaluates the size and scope of entity they deem to be a small business. I’ll also share the latest and greatest definition.